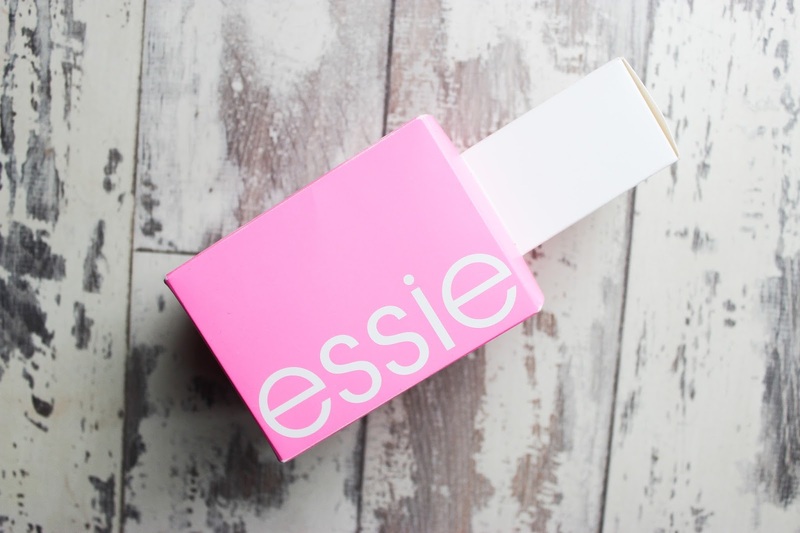 Boy, essie really know how to make me happy! 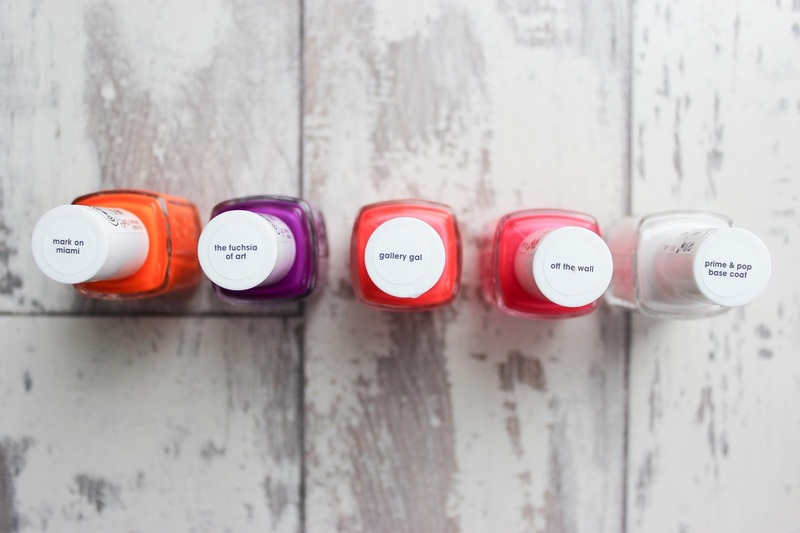 They have seriously ignited a love of nail varnishes I thought I would never have. Their latest collection is probably my absolute favourite! 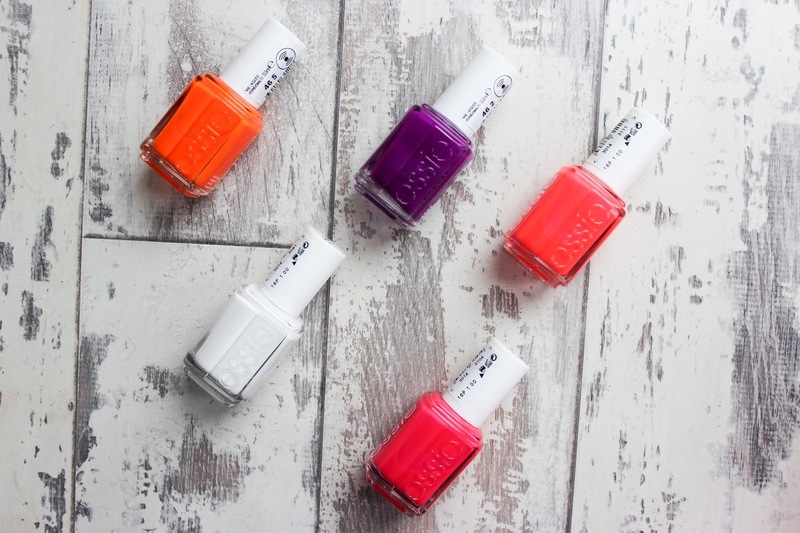 I was sent 4 shades and one base coat for the new essie Neon Collection 2017*. 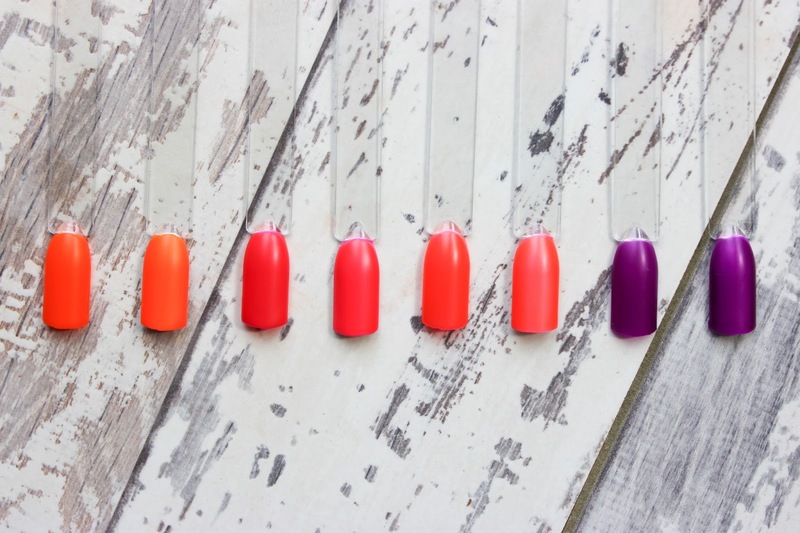 The collection itself holds 4 statement (not for the faint-hearted) neon shades, perfect for holiday and/or festival season and one prime and base pop coat. My absolute favourite of the bunch is Mark on Miami! 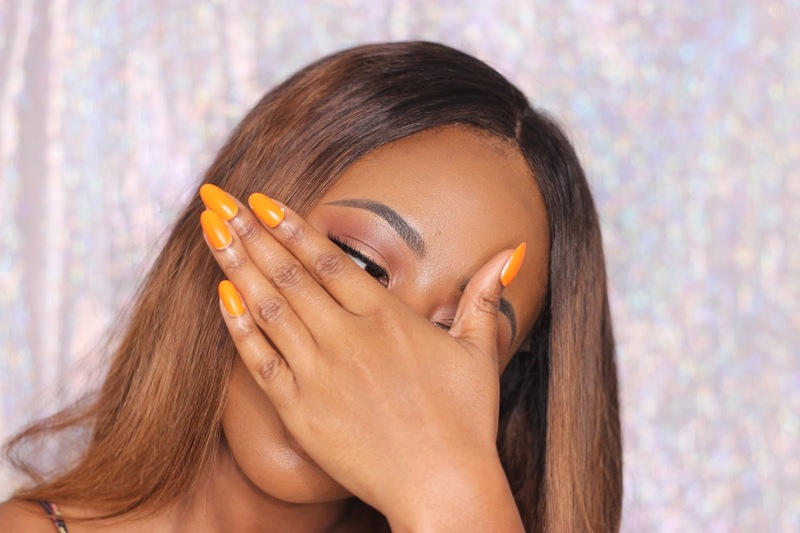 Neon oranges on brown skin is just incredible! I’ve had so many compliments with this shade, it actually reminds me of a varnish I wore on my holiday last year, it goes so well with a tan. I’ve been wearing Mark on Miami (check me out wearing it here in natural daylight) for 5 days now and I’ve seen no sign of fading either – these shades stay neon baby! I really love this collection but I will say I feel it’s seriously missing a neon yellow. The Prime and Base Pop Coat is a great idea but as you can see from the swatches it’s not really needed, you still get that neon payoff with around 3 coats and if you’re anything like me (unsteady hands) you may want to skip out on it anyway as I found it difficult to cover all of the white base. As I’ve said before I am a big fan of the essie formula, they dry hella quick which means minimal smudge for someone like me who is the smudge queen and the formula applies really easily. 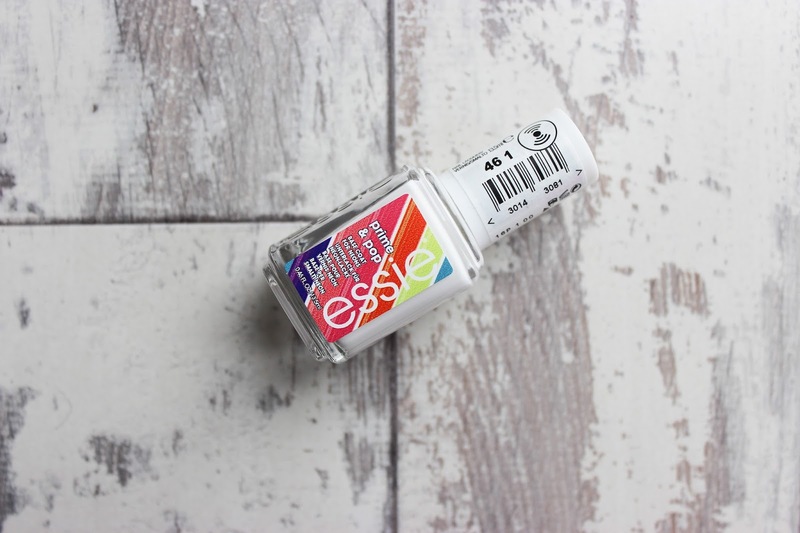 If you find yourself having a hard time with nail varnishes I would definitely recommend essie. 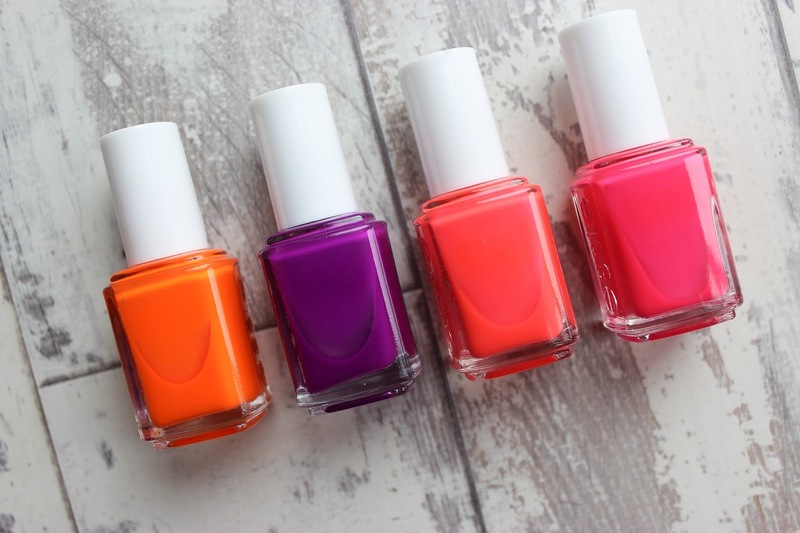 The essie Neon Collection 2017 is available from now until June 17th and can be found in exclusively at Superdrug.